Steven Disarro’s remains were discovered in March. His casual demeanor belied the severity of the charge, which allows prosecutors to seek the death penalty. Salemme, who served as boss of the New England Mafia in the 1990s, is charged with the May 10, 1993, slaying of South Boston nightclub manager Steven A. DiSarro, whose remains were discovered in March by investigators acting on a tip. DiSarro was buried in a Providence lot owned by a man facing federal drug charges. The murder in question stretches back more than two decades, to a time when the mob in New England was being battered by federal prosecutions. DiSarro was 43 when he vanished 23 years ago and was presumed murdered. The magistrate judge granted a request by the prosecution to keep an FBI affidavit filed in support of Salemme’s arrest under seal. 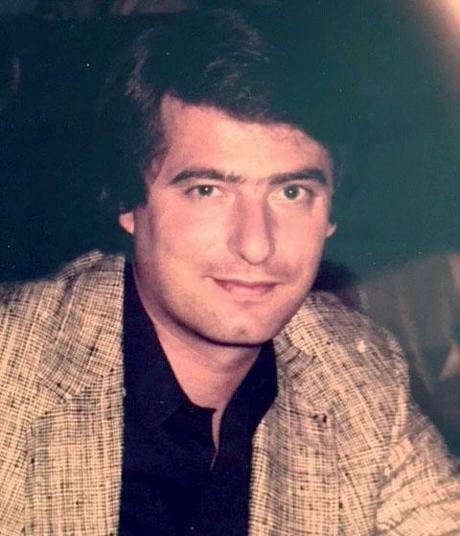 While Salemme is charged with murdering a witness, authorities have not disclosed whether DiSarro was cooperating with authorities when he vanished, or whether investigators were planning to call him as a witness during a federal investigation that was underway in 1993 against Salemme and his son, Frank. DiSarro had acquired The Channel, a now-defunct nightclub, between 1990 and 1991 and Salemme and his son had a hidden interest in the club, according to court filings by the government in prior cases. The new charge against Salemme marks the first time anyone has been charged with DiSarro’s murder. However, Salemme pleaded guilty in 2008 to lying and obstruction of justice for denying any knowledge about DiSarro’s death and was sentenced to five years in prison. Salemme also spent 15 years in prison for attempting to kill an Everett lawyer in 1968 by planting dynamite in his car. The lawyer lost a leg in the explosion. After his release, Salemme was being groomed to take over as mob boss, igniting a war with a renegade faction. He survived after being shot by rival gangsters outside a Saugus pancake house in 1989 and was indicted on federal racketeering charges in 1995 along with others, including Bulger, gangster Stephen “The Rifleman” Flemmi, and Rhode Island mobster Robert “Bobby” DeLuca. In 1999, after learning that Bulger and Flemmi were longtime FBI informants, Salemme agreed to cooperate with authorities against the pair and their handler, retired FBI agent John J. Connolly Jr. In exchange he served only eight years in prison and was admitted to the federal witness protection program. In 2003, Flemmi began cooperating with authorities and claimed he walked in on the murder of DiSarro at Salemme’s estranged wife’s home in 1993, according to a US Drug Enforcement Administration report filed in federal court in Boston. He claimed that Salemme’s son, Frank, was strangling DiSarro, while Salemme, his brother John Salemme, and another man, Paul Weadick, watched. Flemmi said Salemme was concerned about DiSarro’s friendship with a man who was cooperating in the federal investigation targeting Salemme and his son. He also told investigators that Salemme later told him DeLuca was present when they buried DiSarro. Salemme’s son Frank died in 1995. Salemme was kicked out of the witness protection program in 2004 when he was charged with lying about DiSarro’s killing but was allowed back into the program in 2009 after finishing his sentence. Court filings indicated that Salemme was using the name Richard Parker while in Georgia. He was living “a healthy lifestyle,” exercised as much as possible, and was a voracious reader, Boozang said. Dressed in a short-sleeved navy blue polo shirt and olive green khakis when he appeared in court Wednesday, the gray haired former Mafia don was slightly tanned and looked fit and trim. When told to rise, he took a few moments to get to his feet. US Magistrate Judge Donald L. Cabell ordered Salemme held without bail pending the resolution of the case. 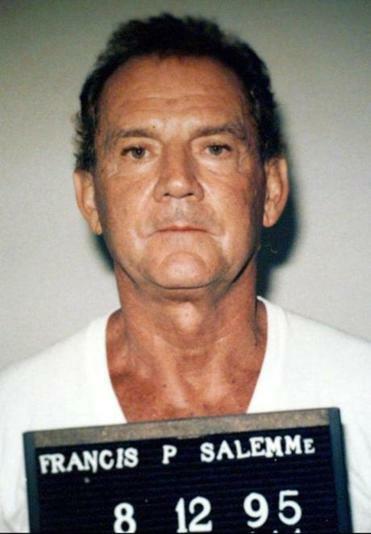 The prosecutor said Salemme had a history of fleeing to avoid charges and recently fled Atlanta, where he was in the witness protection program, and was captured in Connecticut.